Click here to view Downeast Medal Finals rules as well as requirements for qualifying. Click here to view more information about the Downeast Horsemanship Challenge. Open to riders 10 years of age and under. Must not have shown over fences or cantered at any horse show. Contestants shall be required to show at a trot over a minimum of four rails (poles) on the ground. If a rider wins the medal final, they are no longer eligible to compete in this division. 25% of contestants, at least two, may be called back for testing. Testing optional, verbal testing recommended. Open to riders 12 years of age and under, competing on horses or ponies. Riders must never have shown over fences that exceed 2′. Riders shall be required to perform a minimum of six fences with at least one change of direction. Fence height will be 18”. If a rider wins the medal final, they are no longer eligible to compete in this division. 25% of contestants, at least 2, may be called back for individual testing. Testing optional, verbal recommended. USEF tests 1-8. All ages (Short and Long Stirrup) compete together at the qualifying shows, but age groups will be divided at the finals into 12 & under, and 13 & over through adults. Open to riders 13 of age and older through amateur adults. Riders 13-17 must be in their first three years of showing over fences and must never have competed in a class or division with fences higher than 2’. Adults may not have shown in a class or division with fences higher than 2’ in the current year or previous 3 years. If a rider wins the medal final, they are no longer eligible to compete in this division. Riders shall be required to perform a minimum of six fences with at least one change of direction. Fence height will be 18”. 25% of contestants, at least 2, may be called back for individual testing. Testing optional, verbal recommended. USEF tests 1-8. All adult equitation riders must be amateurs as that term is defined in the current NEHC rule book. Riders must have available for inspection, proof of amateur status from MHA, NHHJA, NEHC, USEF or any recognized breed organization. All ages (Short and Long Stirrup) compete together at the qualifying shows, but age groups will be divided at the finals into 12 & under, and 13 & over through adults. Open to riders 17 years of age and under, competing on horses or ponies. Riders not to have shown over 2’6″ at a recognized show. Contestants shall be required to perform over a minimum of six fences with at least one change of direction. Fence heights will be 2’3”. If a rider wins the medal final, they are no longer eligible to compete in this division. 25% of the contestants, a minimum of 2 riders, may be called back for individual testing. Testing optional. 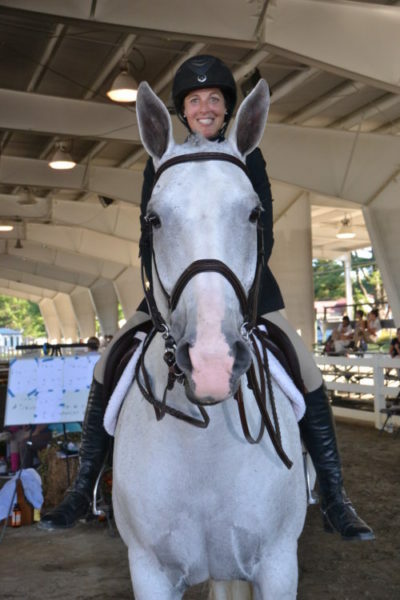 Shows hosting qualifying classes may combine the Modified Junior Medal and the Modified Adult Medal if there are not enough riders to fill them separately. Open to riders 17 years of age and under, competing on horses or ponies. Riders not to have shown over 2’6″ at a recognized show. Contestants shall be required to perform over a minimum of six fences with at least one change of direction. Fence heights shall be 2’ for small & medium ponies and 2’6″ for large ponies & horses. If a rider wins the medal final, they are no longer eligible to compete in this division. 25% of the contestants, at least 2, may be called back for individual testing. Testing is optional. USEF tests 1-8. Shows hosting qualifying classes may combine the Mini Medal and the Amateur Adult Medal if there are not enough riders to fill them separately. Open to riders 17 years of age and under, competing on horses or ponies. Riders shall be required to perform over a minimum of six fences with at least one change of direction. Fence heights shall be 2’9”. If a rider wins the medal final, they are no longer eligible to compete in this division. 25% of the contestants, a minimum of 2 riders, may be called back for individual testing. Testing optional. USEF tests 1-19. Open to amateur adult riders 18 years of age and older, competing on horses or ponies. Riders shall be required to perform over a minimum of six fences with at least one change of direction. Fence heights shall be 2’3”. Riders may not have shown over 2’6″ at a recognized show in the current year or previous 3 years. If a rider wins the medal final, they are no longer eligible to compete in this division. 25% of the contestants, at least 2 riders, may be called back for individual testing. Testing optional. USEF tests 1-8. All adult equitation riders must be amateurs as that term is defined in the current NEHC rule book. Riders must have available for inspection, proof of amateur status from MHA, NHHJA, NEHC, USEF or any recognized breed organization. Shows hosting qualifying classes may combine the Modified Junior Medal and the Modified Adult Medal if there are not enough riders to fill them separately. Open to amateur riders 18 years of age and older, competing on horses or ponies. Contestants shall be required to perform over a minimum of six fences with at least one change of direction. Fence heights shall be 2’6″. Amateur Adult Medal Final is open to all adults, even those who have previously won the medal final. 25% of the contestants, at least 2 riders, may be called back for individual testing. Testing optional. USEF tests 1-19. All adult equitation riders must be amateurs as that term is defined in the current NEHC rule book. Riders must have available for inspection, proof of amateur status from MHA, NHHJA, NEHC, USEF or any recognized breed organization. Shows hosting qualifying classes may combine the Mini Medal and the Amateur Adult Medal if there are not enough riders to fill them separately.